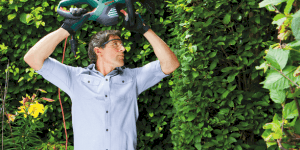 Echo is a leading producer of outdoor tools, including trimmers, chainsaws, blowers, edgers and hedge trimmers. From its small start, this business has grown into one of the leaders of the outdoor equipment industry in multiple ways. The company is over 40 years old and sells its products through 6,600 different dealers nationwide. Selling through so many dealers makes certain that Echo products are available in as many places and to as many people as possible. The company is well known for its low-noise blowers as well as low-smoke oil technologies as well as the other steps it has taken to protect the environment. On top of creating a multitude of different outdoor machines and power tools, the company prides itself on being particularly environmentally conscious. Some of the things Echo has done to protect the environment have been to reduce the emissions created by their engines by 85% since 1997, as well as create and sell more EPA-certified models than any other manufacturer. That alone is a huge deal that will likely allow this company to not only stay ahead of the game now, but also be more prepared for the future. In this article, we’ll take a look at Echo as a company, including a little bit about the history of the company and the current presence in the market. 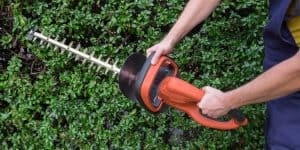 Most importantly, this article will discuss some of the products Echo has available with a special attention on Echo gas hedge trimmers. 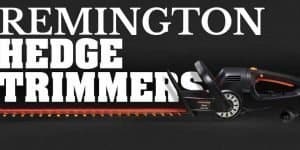 Echo has a large selection of hedge trimmers both for home and professional use. In this article, a few of the most popular models made by the company will be looked into. Echo was founded in 1972 in Illinois, making its start by importing 2-cycle engines and handheld items from Japan. The company began production and assembly of its own machinery in 1979. 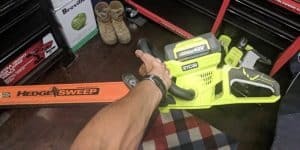 Their first product was the GT-200 grass trimmer. The success of that machine allowed the company to begin developing even more products for a greater variety. From that small start began the incredibly successful cutting-edge business we know today. In 1985, Echo added on a subsidiary in Canada to add to the success it was already experiencing in the United States. This allowed them to expand the success of the business elsewhere, making sure people all over have access to its high-quality machinery. While it did have relationships with a number of dealers already, in 1994 Echo began to sell its products at Home Depot, allowing it to be more easily accessible and reach a higher number of consumers. When working to grow a business, it’s very important to make sure your product is widely and easily available so that the process for customers to purchase is simple and hassle free. Buying a used product? Read this first. One of the most important aspects of the company today is that it presents itself as highly environmentally aware. Echo has even had a hand in the restoration of millions of acres in a variety of different habitats. This effort is incredibly important as we move toward the future. The demand for products that have low or even zero emissions is growing day by day, so in order to stay ahead of the market, Echo has already made some strong moves to take care of our planet. Echo also runs two environment programs geared towards teaching the community, as well as doing hands-on work to help protect the environment. 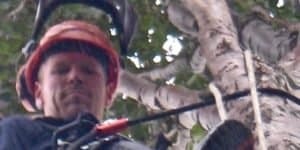 The first of these projects is known as “Tree as a crop” and involves educating farmers and landowners of the benefits of correctly growing and harvesting trees. It’s helpful for people to understand not only how the growth of trees can help the environment, but also how it can help them on a personal level. The second of these programs is called ‘Eco4 the Planet’ and involves planting 3,000 trees in a conservation area in Massachusetts. We wrote a comprehensive buyers guide, read it here. 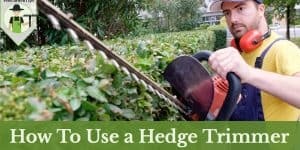 The HC-152 is a hedge trimmer with a 20” double-sided blade and a commercial-grade air filter. It has a see-through fuel tank, which makes it easy to tell when you are running low and will need to refill. It also has a large handle making it easy to grip and keep control of. This model also comes with a throttle lockout in order to prevent accidentally starting the machine without intending to. 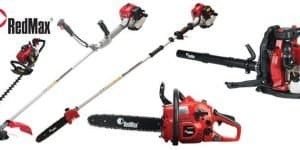 The SHC-225S has a 21” blade, which is double-sided and a 21.2cc professional grade 2 stroke engine. It also has a 14.2-fl. oz. capacity fuel tank to help keep you fueled up as you work. It shares the same kind of air filtration system as the HC-152 and a front over-mold grip. This model comes with a 20” shaft to make it easier to move and reach anywhere. The HCA-266 has a heavy-duty vibration-reduction mount as well as a rubber covering over the handles to keep the vibration to a minimum. It has a 25.4cc 2-stroke engine and 18” blades. 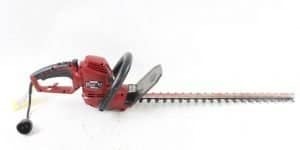 The echo hedge trimmer blades on this model also fold flat to make them easier and safer to store. The easy-to-start technology gives this model a 30% reduction in the effort it takes to get the machine started. This model has a fully redesigned gear box meant to provide a higher level of effectiveness for your use. It has a 21.2cc quality 2-stroke engine to provide power behind your work. This trimmer comes with front and rear handles so that you get a solid, comfortable grip and a great air filter. Like the others, the tank is see-through so you can see when you next need to fill up. Like the others in this article, it also comes with the throttle lockout so it isn’t accidentally turned on.